Drainage boards allow water that has reached the walls of a structure to flow harmlessly away. Without drainage boards, water can saturate a building’s walls or pool around its foundation. ArmorDrain 400 Drainage Mat provides commercial and residential buildings alike with drainage protection at a value price. The board is formed from a heavy-duty, high-density polyethylene drainage core which is impenetrable to water. 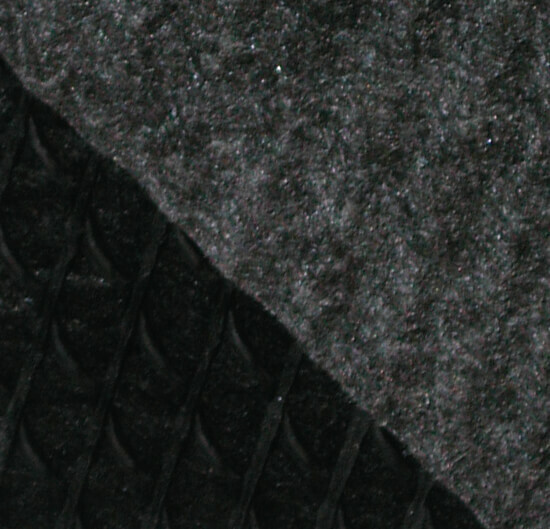 The drainage core is molded into durable ridges and bonded to a single layer of non-woven filter fabric. ArmorDrain 400 Drainage Mats are designed to provide drainage in extreme cases involving heavy loads or heavy traffic, such as under slabs, planters, retaining walls, bridge abutments, foundation walls and roof gardens. The heavy fabric prevents rocks and dirt coming entering the drainage channels. The result is a cost-effective addition to a drainage system which reduces hydrostatic pressure, allows water drain away from foundations and protects waterproofing membranes. ArmorDrain 400 Drainage Mat is also easy to install, and can be fastened directly to concrete. ArmorDrain 400 Drainage Mat is .25″ thick and provides crucial protection at a low cost. For drainage boards with a greater drainage capacity and compression strength consider our exclusive Shockwave drainage board made from 100% recycled materials. Mar-flex provides products can meet any waterproofing and building need. If you are unsure what level of protection is right for you, please contact us. ArmorDrain 400 Drainage Mat is considered a green product, and can be used toward LEED building credits. With a compression strength of 40,000 psf. Fastens board to poured wall, providing an additional bond until backfilled. May be installed into concrete with hammer. ArmorDrain 110 Drainage Mat is designed to allow water to drain through channels created by the dimpled core, while protecting a foundation’s primary waterproofing membrane from damage by soil and sediment. ArmorDrain 150 Drainage Mat provides buildings with high-flow drainage protection at a lower price point. Mar-flex’s premier drainage tile, GeoDrain 12", is a three-dimensional, high-flow drainage core wrapped in a non-woven filter fabric.